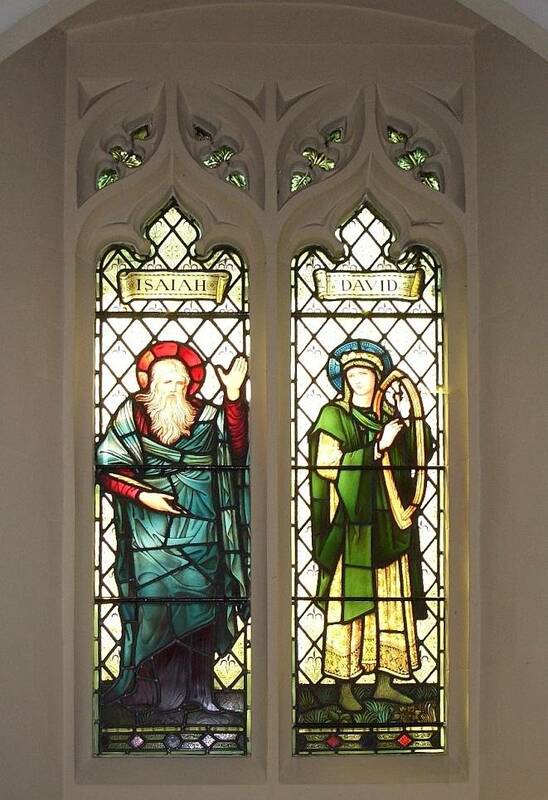 Left: Isaiah and David, whole window. Right: Close-up of David. Isaiah does seem almost identical to the Isaiah at the chapel of Cheadle Royal Hospital (see Cormack's figure 10), and Cormack tells us that this cartoon was adapted for use at several important places, here and abroad, including the chapel of Jesus College, Cambridge. 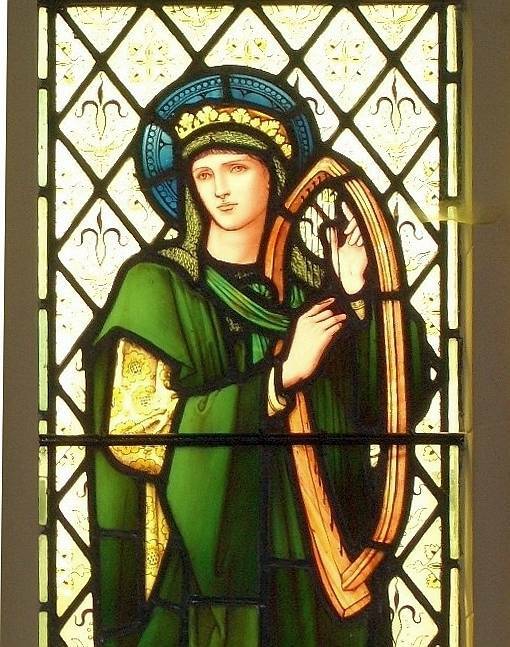 Other Burne-Jones versions of David seem to be more common though. 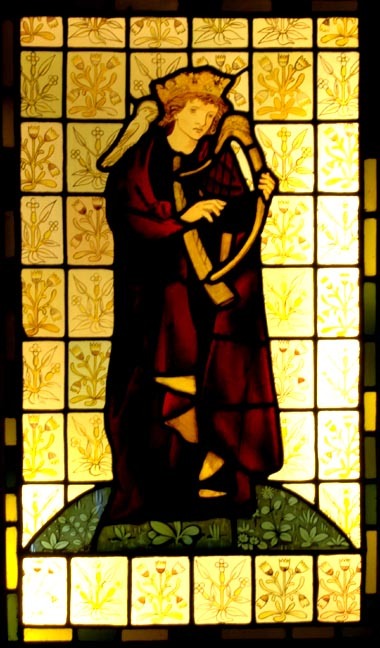 Compare (or rather, contrast) this part of the window with the early King David the Psalmist, now in the Metropolitan Museum of Art in New York.